As property owners, we are always trying to find new ways to improve our properties. A great way to not only add value to a commercial property, government property, apartment complex, and residential developments is with landscaping. Landscaping not only increases the value of a property, it can also add more curb appeal. If your commercial landscaping in Mansfield, TX need landscaping and other services, please call MDM Landscapes today at 817-396-0125! Our specialists will work with you to ensure you get the best services for your landscaping. We take the time to ensure that you like the type of working we are doing and you are getting the services that you want for your landscaping. Get in touch with us today to schedule your first appointment with our professional team. 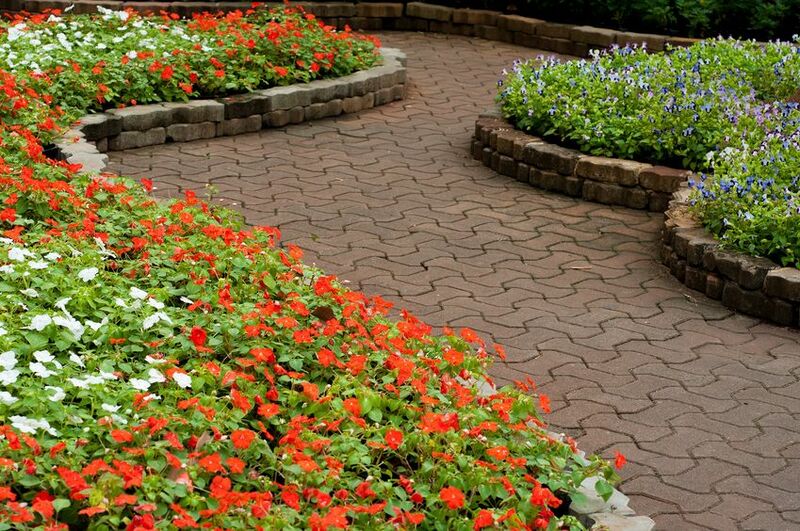 The specialists at MDM Landscapes have the knowledge needed to provide your commercial landscaping in Dallas-Fort Worth, TX with quality services at a price that you can afford. From designing a unique commercial landscape to providing irrigation management, there is nothing that we can’t do. We offer planting, installation, and planting to ensure you have a beautiful lawn that increases the value of your property and adds more curb appeal. If you need more information or you are ready to transform the look and condition of your landscaping with our landscaping services, call us today! Hardscape Services From retaining walls to stonework, when you need hardscape services, please call MDM Landscapes today. Irrigation Mangement Our irrigation management ensures your landscaping gets the required water levels. Landscape Design Do you need landscape design for your commercial property? Contact us today to learn more. Are you needing landscape design for your commercial property? MDM Landscapes is able to help! 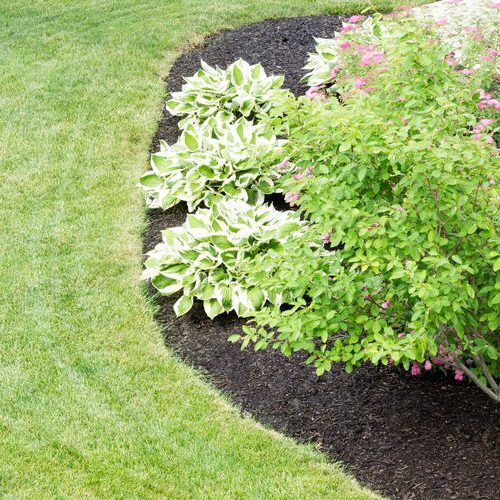 Not only do we offer flower bed installation, grass and sod installation, and sport turf services, we also offer other services like mulch application and dirt work to ensure your landscaping is getting the maintenance that it requires. In order to bring your landscape design to life, we will work with you to ensure you are getting the precise design that you want. Our landscape design services are detailed and unique, so if your commercial landscaping in Mansfield, TX needs this type of service, please call us at 817-396-0125! A great way to add a little more dimension to your landscaping is by adding a little bit of hardscaping. Hardscaping is when you use pathways, patios, steps, and retaining walls to increase the look of your landscaping. If you want to add a retaining wall to your business or you need stonework or flagstone work for your property, we are able to help. Using materials such as stone, wood, and metal can really transform a landscape and give it the boost that it needs. To make an appointment to add hardscaping to your commercial landscaping in Mansfield, TX, please call our office at 817-396-0125! While watering our lawns is one of the best things we can do for our landscaping, we really need to be careful. It wouldn’t seem like water could hurt our bushes, flowers, and trees, but it can. When a property owner uses too much water to water their lawns, it can damage the landscaping. Not only can overwatering kill trees, flowers, and bushes, but it can cost a lot in water and electricity bills. To avoid all of these things, you can depend on us for irrigation management. This type of service involves installing and repairing sprinkler systems, but also maintaining your irrigation system. Keep your commercial landscaping in Mansfield, TX looking good by calling us at 817-396-0125 for irrigation management. If you are looking for other landscaping services for your commercial landscaping in Mansfield, TX, MDM Landscapes is the place to call. We not only offer landscaping services such as landscape design, irrigation management, and hardscape services, we also offer other services that are able to elevate the look of your landscaping. Whether you are needing special lawn care service or you think landscape lighting would really boost the appearance of your commercial property, government property, apartment complex, or residential development, we can help! Call our office today at 817-396-0125 to book an appointment with one of our specialists. Lawn Care Let us provide your lawn with the services that it needs by calling us for lawn care services. Outdoor and Landscape Lighting We are able to install and repair landscape and outdoor lighting for your property. Tree Care From tree planting to pruning, our specialists are able to care for your trees with our tree care services. After grass and flowers are planted in order to increase the look of your property, our work is not through. Grass, flowers, and bushes grow incredibly fast so to keep them looking well manicured, we offer lawn care services. We offer the traditional lawn care services such as mowing and maintenance, but we also provide services such as soil aeration, drainage services, and fertilizer to make sure your landscaping doesn’t flood, it has the proper nutrients, and it’s getting the required water. These types of services are a lot more frequent than landscaping services, so we will be able to provide regular lawn care whenever you need it. Give us a call at 817-396-0125 for this type of service for your commercial landscaping in Mansfield, TX. Lighting is everything when it comes to showcasing different areas of your landscaping. During the day you don’t really have to worry about this, as the sun will illuminate every area of the lawn. However, when it gets darker outside, your landscaping becomes less and less visible. This is why it’s a good idea to get outdoor and landscaping lighting for your commercial property in Mansfield, TX. Not only will outdoor and landscape lighting highlight all of the areas of your landscaping that you want to show off, but it can also offer more security for your property. If you are interested in this type of service, call our office today at 817-396-0125! Trees not only offer a lot of beauty to commercial properties, but they can also provide a property with cleaner air, oxygen, make a property cooler, and conserve energy. The job of trees is very important for all living things, which is why it’s crucial that they are well cared for. At MDM Landscapes, as part of our other landscaping services, we offer our clients tree care services. Our tree care services involve planting trees for new properties, removing dying or dead trees, trimming branches and limbs to keep the tree looking good, and pruning which involves removing branches and limbs that are no longer viable to the tree. Do you think you need tree care for your commercial landscaping in Mansfield, TX? Call us today at 817-396-0125! When you need services for your commercial landscaping in Mansfield, TX, please call the specialists at MDM Landscapes. We are able to fulfill all of your landscaping needs, guaranteeing your landscaping is healthy and well maintained. Whether you want us to install a retaining wall or you need a tree removed from your property, there is nothing that we can’t handle. If you are interested in making an appointment for commercial landscape services in the DFW area, please dial 817-396-0125! We work very hard to ensure your landscape is well sustained, looks aesthetically pleasing, and offers more curb appeal and value for your property. For people who own commercial properties, government properties, apartment complexes, or residential developments, we are here to help you. Updated on April 16, 2019 at 9:57 am by MDM Landscapes.